If I was given a choice between an appetizer platter or a selection of desserts, the appies would always take the cake (pardon the pun). It's not that I don't like sweets, I just happened to prefer the savoury eats more. 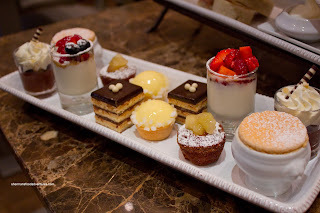 Hence, this is partly the reason I have taken so long to visit Faubourg. In actuality, I wasn't even supposed to visit it at all this time around. You see, my mom has wanted to do afternoon tea for the longest time, but my dad has no interest whatsoever (runs in the family eh?). 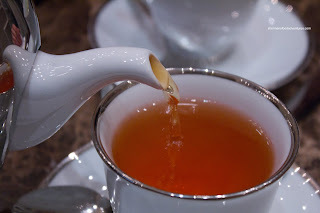 In fact, when they were in Hong Kong, she so desperately wanted to try out the high tea at the Peninsula, yet my dad had no desire to wait in line. As a r esult, Viv volunteered to take her for afternoon tea instead. I tried to coerce Viv into doing another post, much like her visit to Adonia. No dice. She'd rather put up with my suggestive humour (or is it non-humour in her opinion) than to take pictures and write up a blog post. Hence, I had really no choice but to tag along. 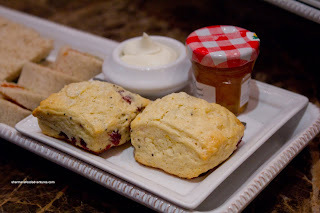 We made a reservation to have their Pink Afternoon Tea which costs a competitive $25.50 per person. If you've never had afternoon or high tea before, there will be some sticker shock. Believe it or not, this is actually reasonable considering some can go in excess of $60.00 per person (The Fairmont Empress in Victoria). Of course, the selection and amount of food varies from place-to-place. 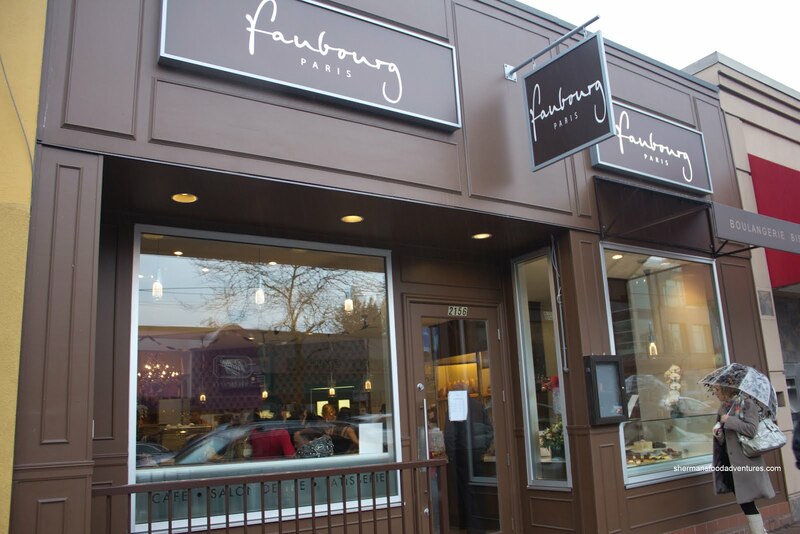 Located in Kerrisdale, Faubourg is a quaint little place which serves up French pastries and a limited bistro menu in addition to the afternoon tea. We were seated in the reserved section at the back as opposed to the open seating in the front. Our Pink Afternoon tea arrived in a 2-tiered serving tray with the sweets on the top. 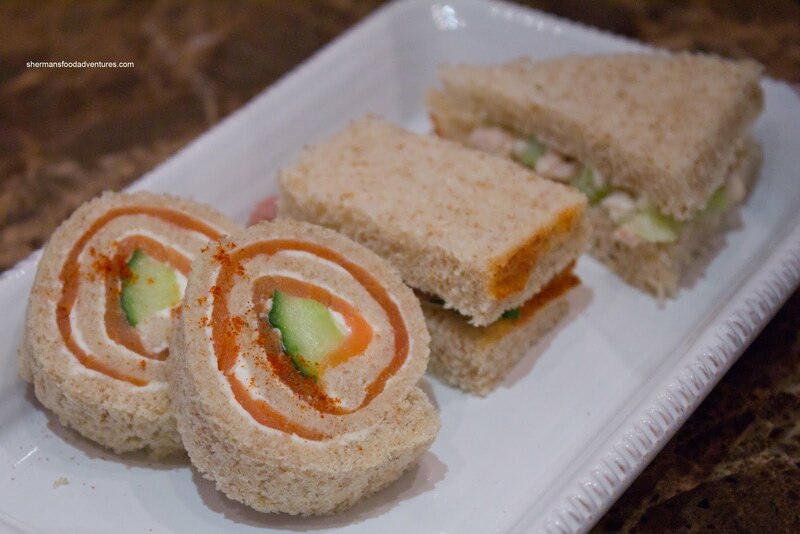 We started on the bottom with the 3 sandwiches which included a Smoked Salmon & Cream Cheese Pinwheel, Roast Beef and Chicken Salad. I guess there is only that much one can expect out of tea sandwiches and these were no exception. I mean, they were pleasant enough to eat with fresh bread that was soft (except for the pin wheel since it was compressed slightly) and ingredients that were equally good. I liked the chicken salad the most due to the crunch of the celery. where it was far from being dry. One bite and the spices immediately make their presence known with hits of nutmeg and cinnamon. Loved the tart apples on top which provided a balance to the sweetness. Despite my indifference about desserts, I'm a sucker for Lemon Tarts. The one here at Faubourg was really good. I liked the firm tart shell which gave way to a creamy and tart lemon curd. I could've done without the rocks of sugar on the rim of the tart since it was sweet enough already. The Opera Cake looked appealing and was very pleasant to eat. The silky dark chocolate ganache was only semi-sweet and complimented the coffee syrup-laced sponge cake. Maybe it was too simple, but I wasn't a huge fan of the Berry Yogurt. It was essentially vanilla yogurt with berries and oats on top. Not sure why it was even on the plate. The Chocolate Mousse was of the denser variety, yet still smooth, rich and chocolatey. 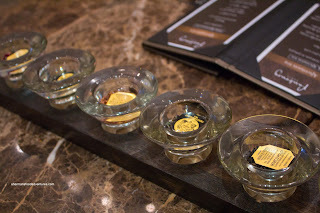 I particularly liked the candied ginger on top which added something different. As we were leaving, there was no chance we'd pass up taking some pastries to go. Queuing up in the long lineup that almost went out the door, we had to get the Croissants. Herbie the Lovebug swears by and highly recommended them. Well, he was right since these had all the attributes one looks for in a good croissant. Crispy, flaky, buttery and aromatic, I could eat a half-dozen of these in one sitting. Well, I'd probably need a defibrillator nearby though. 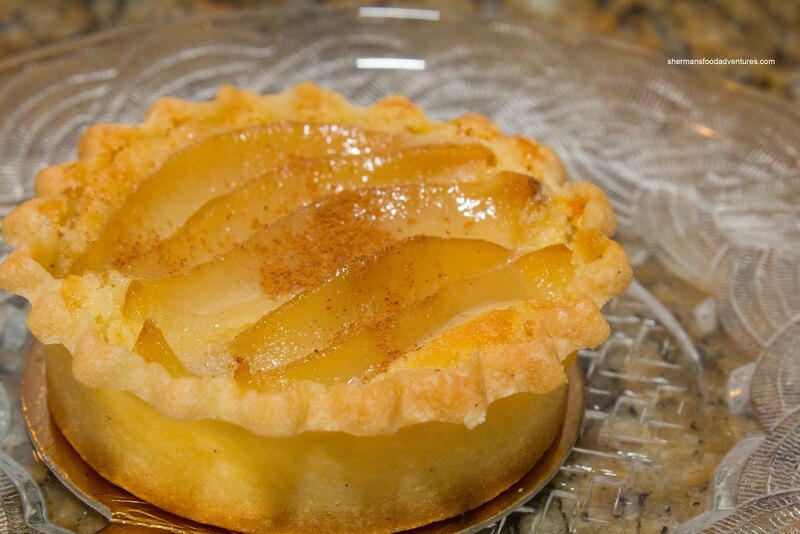 We also got a few tarts to go including a Pear Tart. The tart shell, much like the lemon tart, was buttery, yet held up to the wet ingredients. The pears were fragrant (in a pear kind of way, if that makes sense), however, it could've been a touch sweeter since it was very light tasting. 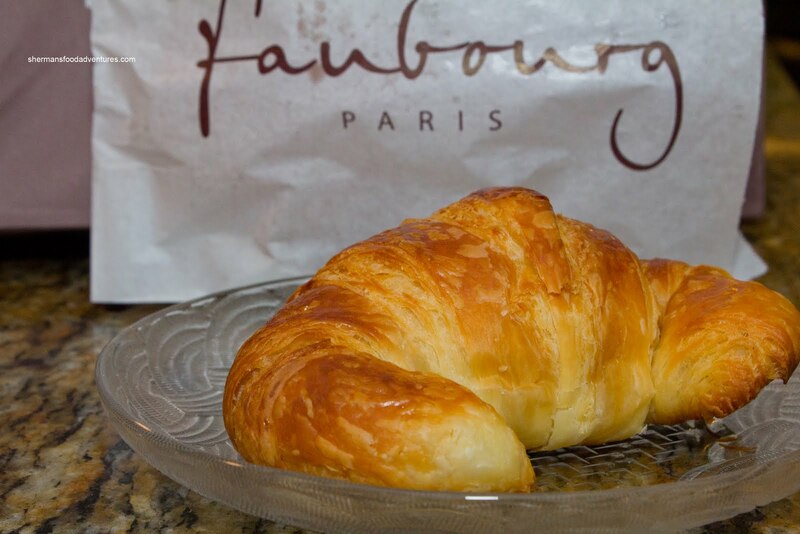 In the end, Faubourg met our expectations and that in itself is an accomplishment. Prices are on the higher side which is common in Kerrisdale. 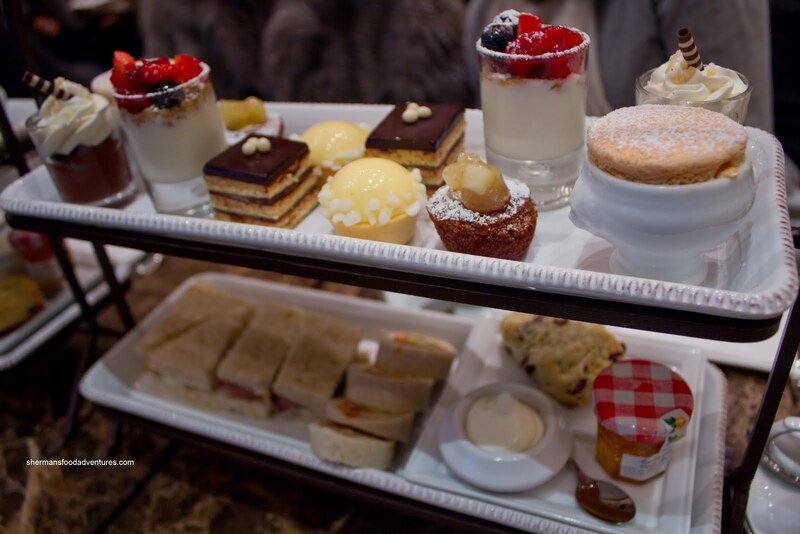 On the other hand, the afternoon tea is competitively priced in comparison to Adonia and Secret Garden. From we could tell, Faubourg seems to fit into the neighbourhood and should maintain a constant clientele. To quote Vivian in the Adonia post, you should "coerce" her to to another post! :) After all, we need people to make fun of you! @KimHo No, she will not, no matter what I do.